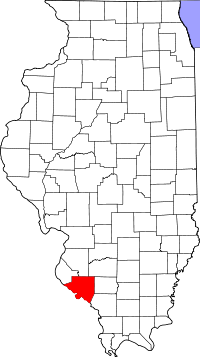 Randolph County was established October 5, 1795, and took its name from noted Revolutionary War soldier and statesman, Edmund Randolph, of Virginia. Vital records are maintained by the Randolph County Clerk's Office. Request vital records from the Randolph County Clerk can be made in person or by mail. Vital records for Randolph County can also be requested form the Illinois Department of Public Health Division of Vital Records. Records were not officially recorded with the state until 1916. The Illinois State Archives is also a good place to search for vital records for Randolph County.